The map uses DEM on its background. 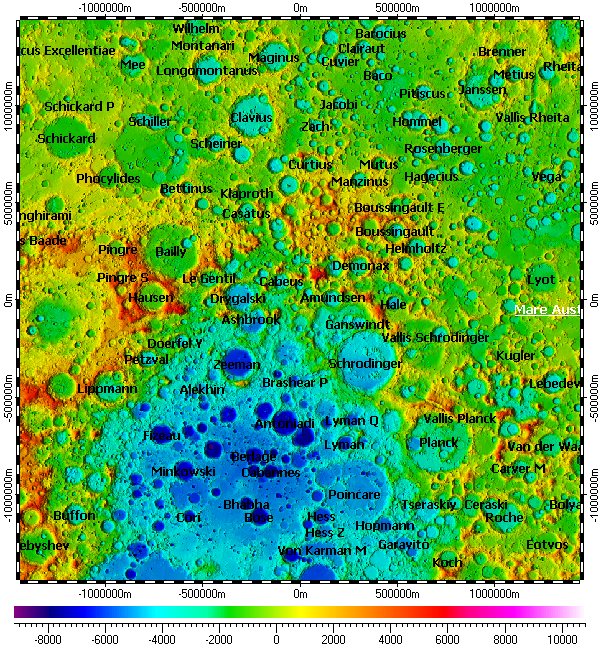 The DEM composed from data of Lunar Orbiter Laser Altimeter (LOLA) instrument of Lunar Reconnaissance Orbiter (LRO) mission with variable resolution from 100m to 5m. Installation archive “DEM of South Pole of Moon with multiple resolutions”.